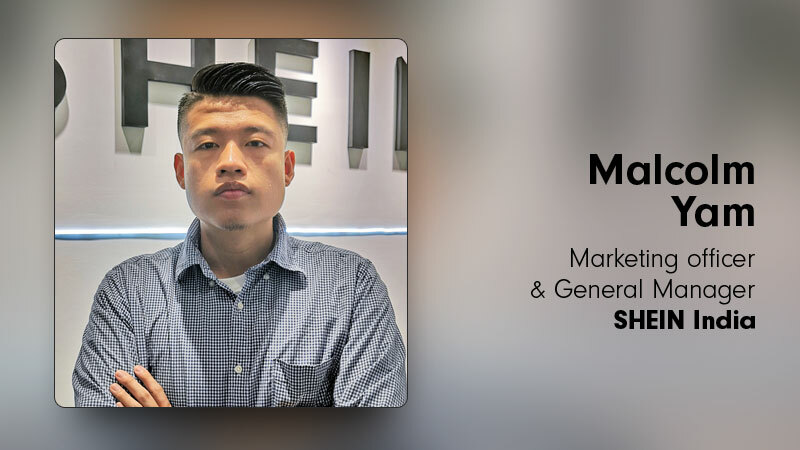 Malcolm Yam, Marketing officer & General Manager of SHEIN India shares his views on the digital revolution and how brands like Shein is making the most of it. On its first anniversary in the Indian Market for all fashionistas, SHEIN announced SHEINxME Fashion Merch to celebrate the occasion. the online fashion store aims to create a new dynamic in the Indian fashion industry. the event will be on 25th August, 2018 at Four Seasons Hotel Mumbai showcasing their latest collection wherein fashion enthusiasts get a chance to realize their fashion ambitions. Social Samosa got talking with Malcolm Yam, Marketing officer & General Manager, SHEIN India to share more insight behind SHEINxME, SHEIN’s social media strategy, staying ahead of the competition and much more. As a marketer, what is your objective from social media marketing? With INR 250 crore for marketing during our first year, we have attracted more than 3 million followers on social media and collaborated with about 2000 local influencers. It’s a great start and we are expecting to achieve new heights for the year ahead. Since SHEIN is all about creating a new dynamic in the fashion industry, please take us through your digital mix. Which social media platform has managed to yield maximum results for the brand In India? Official accounts on Facebook, Instagram, Twitter, Snapchat and YouTube have all been set up. We also explore new channels that are popular among our target audience. Each medium receives equal amount of attention. Most of our followers and target audience are active on Facebook and Instagram, these two are the key platforms for us right now. On multiple occasions we have seen SHEIN India use Facebook ads. How have Facebook ads helped you achieve your end objective? Which kind of ads yield the best results for you? Facebook is the world largest social network and India has the highest number of Facebook users. Using Facebook ads is a cost-effective and direct way of advertising for our target audience. Experience shows that personalized content drives the best result. We keep testing and optimizing ads content for different target groups based on their preference of trends, styles, occasion etc. How often do you work with influencers? How has the experience been? Please take us through influencer outreach campaigns done by you and how did it help the brand? We reach out to new influencers nearly every day and our collaborations with influencers are not restricted to certain events. We love how these fashionistas share their styles and fashion tips in SHEIN outfits. They are an important part in helping us generate online visibility as well as a main styling inspiration for our customers. Many of our influencers become loyal customers of SHEIN and continue to influence their friends and followers. SHEIN is a customer-centric brand. Besides our social media, we have built a good communication channel with our customers on the SHEIN website and APP. We find that a lot of customers are very confident, dare to show off themselves, and have the desire to better themselves. With this 1-year-anniversary, we would love to show our appreciation to our loyal customers by holding our first-ever fashion show – SHEINxME Fashion Show just for them. We are inviting our customers to join this party and model our best outfits. This will be a good chance for them to feel pride in themselves as well as live their modelling dreams. How did social media help in creating an edge in the super competitive Fast fashion space? We believe that social media plays a vital role in building a connection with our target audience. It is one of the most positive forces to increases brand awareness. We’ve invested considerable effort on social media to communicate with customers directly and effectively. Collecting feedback through survey or comments on social media is one thing we really care about. It helps us know our customers better and improves our product and service time. How did social media help in creating an edge in the super competitive fashion e-commerce market? With social media, our communication with our audience has delightedly reached most cities of India. In today’s digitally dependent age, social media is effective in gathering leads, both directly and indirectly. Apart from posting news and products about SHEIN, we share contents that are tailored to the audience’s tastes such as latest trends, styling tips, etc. Given that online users are consuming more video content, we broadcast a livestream every week with different topics and it has proven to be popular among our customers. As an e-commerce startup what kind of a role do reviews and peer to peer platforms such as Quora and Reddit play? How does Shein leverage them? Reviews platforms is an important medium for customers to find out more about a brand and its product. On SHEIN’s websites and APP, customers can view reviews by other customers from all over the world displayed on the product page. This is helpful for them to make decisions about fabric, size, and color before placing the order. We also encourage customers to share honest reviews on social media and we feature real customers post regularly. Using this method, we generate valuable word-of-mouth and get people to talk about our brand and products. What are the top three social media marketing takeaways from your experience? – Create content that builds an emotional connection and increases user engagement. – Stay current with stimulating campaigns to engage viewers. – Focus primarily on our customers’ need. Collect feedback to improve our products and service time.